Can the Crows topple the mighty Hawks? Hawthorn will face Adelaide in a preliminary final at the MCG this weekend, but will it be a one-sided affair? This weekend’s Hawthorn and Adelaide game should be an easy bet. On paper and recent form Hawthorn should account for Adelaide with ease and progress to the grand final where they will face either Sydney or Collingwood. Hawthorn has had a relatively easy finals campaign as of now, beating Collingwood in their week one qualifying final before getting a week off. After the week’s break they should come out fresh and firing. Adelaide on the other hand have had a tough couple of weeks. After losing convincingly to Sydney away from home in the first week, they faced Pavlich and his Fremantle Dockers. A hard fought come-from-behind 10 point win against Fremantle has now lined them up with an unforgiving Hawthorn outfit. 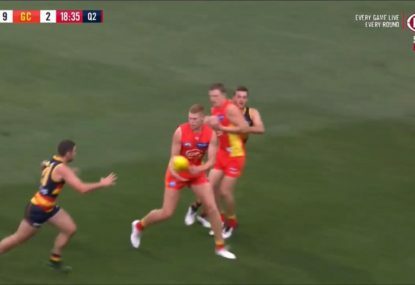 The key for Adelaide to have any chance of winning this game is to shut down Lance Franklin and match Hawthorn’s midfield. If they can restrict Franklin to fewer than two or three goals Adelaide could possibly have a chance. But as we have seen all of this season, Hawthorn have numerous avenues to goal. If Franklin doesn’t fire, someone else will – that’s why Hawthorn finished on top this season. You can’t just shut down their key forwards because Cyril Rioli will find a way through, Luke Hodge will grab a couple of sneaky goals and Jarryd Roughead is also devastating at his best. As for the midfield, Sam Mitchell, Brad Sewell, Hodge and Jordan Lewis can tear apart any side. They will be up against quality opposition though, especially in the All-Australian pair Scott Thompson and Patrick Dangerfield. 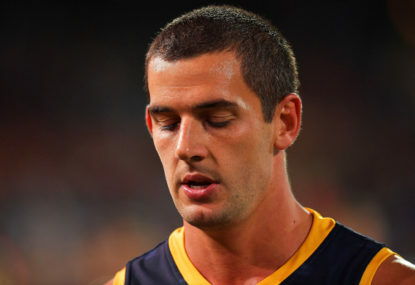 Thompson has had a stellar year, as has Dangerfield and both are game changers. Adelaide, you would think, will lose the midfield battle against Hawthorn but would be very confident with their attacking options. 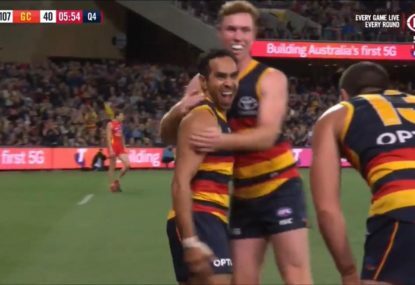 After Taylor Walker’s game changing performance against Fremantle and a handy three goals to come-back-king Jason Porplyzia, Adelaide aren’t short of attacking options. 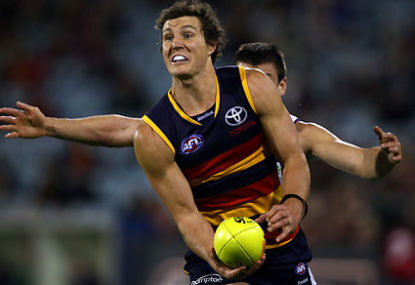 Kurt Tippett needs to fire if Adelaide are any chance of winning. 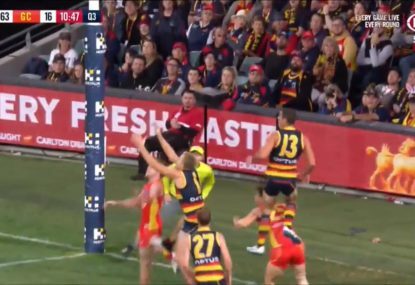 Dangerfield can also be very damaging on the score board. 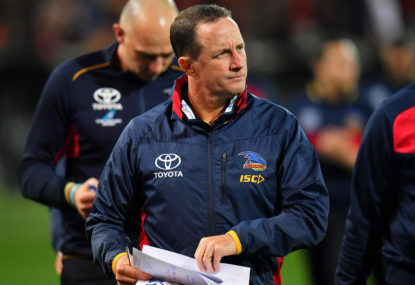 This match is expected to be a one-sided affair but Adelaide could give Hawthorn a run for their money. They must shut down Franklin and Tippet needs to rip Hawthorn’s defence apart. My prediction: Hawthorn’s midfield and array of attacking options will be too much for Adelaide to handle, Hawthorn by 24 points.